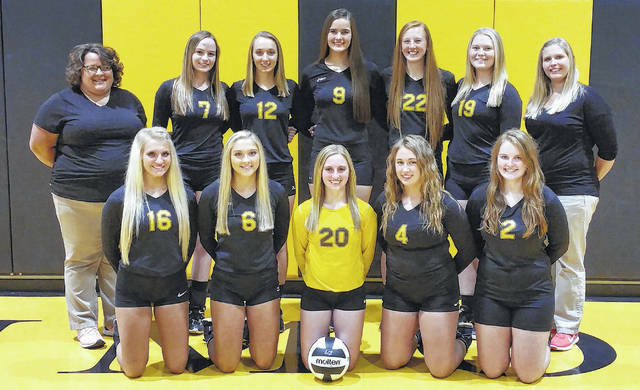 After finishing 19-6 last year, Northmor’s volleyball team will try to build upon that success behind six returning letterwinners. Junior Anna Donner (outside hitter) was a first-team pick by both the Mid-Ohio Athletic Conference and Central District last year, while senior setter Jordyn Zoll earned second-team recognition by the league and district. Also back are seniors Kelsie Fike, Caitlin Thebeault, Cristianna Boggs and Hope Miracle. While the team graduated a pair of last year’s players in league honorable mention pick Lindsey Wiseman, as well as Rayanna Loyer, head coach Kara Wright has some new additions for this, the school’s first season in the new Knox Morrow Athletic Conference. Juniors Hanna Bentley, Lily Tate and Aly Blunk; and sophomore Leslie Brubaker all are expected to contribute on the varsity level this season. “Our goals are continued success, to build on last year’s 19-6 record and compete for the KMAC title,” Wright said, noting that Highland would likely be the team to beat in conference play. Northmor’s volleyball team will look to improve on last year’s 19-6 mark.